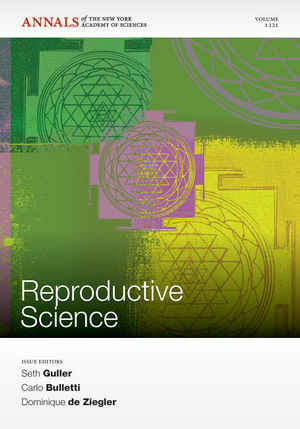 This volume explores the latest clinical and basic science advances in the field of reproductive sciences. Contributions from leading experts in the field cover a wide breadth of topics from in vitro fertilization to stem cell biology. Special focus is given to discussion of major obstacles in making clinical progress in the fields of in vitro fertilization, endometriois, uterine and ovarian transplantation, recurrent pregnancy loss, and preterm delivery. Novel evidence-based approaches to advance the field are discussed, including in vitro molecular approaches, translational studies, as well as those that may immediately be considered for use at the bedside to improve reproductive outcomes. Seth Guller and Carlo Bulletti are the authors of Reproductive Science, Volume 1221, published by Wiley.